They’re farmers. They’re growers. They’re businesspeople. They’re entertainers. When your job includes doing everything, often the vocabulary at your disposal is limiting. So now, they’re writers as well, having coined a new term to describe what they do. “We’re trying to train ourselves to say ‘entrepeneurial farmers,’” explained NAFDMA’s Director of Membership and Resources Virginia Schwarzenbach. This year’s keynote speaker was Author and Business Growth Consultant Joe Calhoon, who offered both practical and inspirational advice to the 300 or so members who attended the conference. Calhoon wants the industry to view success differently. He was preaching to the choir. In fact, Calhoon’s nontraditional view of success left him particularly impressed with the NAFDMA members he met at the conference. 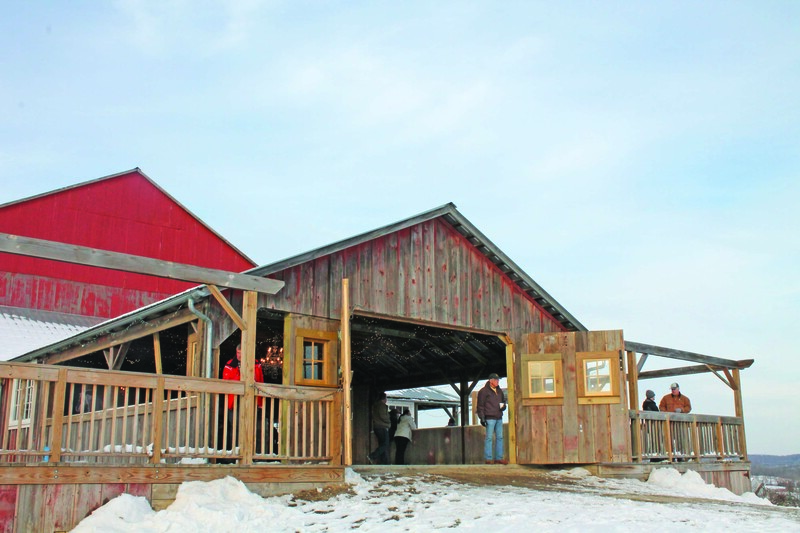 Those laws of nature created a brisk, chilly setting as conference attendees went on bus tours to scope out area members’ farms and see what the agritainment industry in the Midwest looks like. After every stop, each of the six buses engaged in formal, group discussions about what worked well or could be improved at the farms. Everything was examined, from traffic flow, crowd dispersion, age-appropriate options and safety questions. 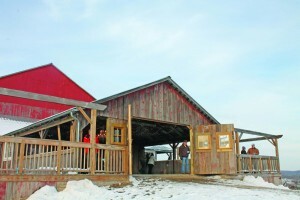 Steve and Cindy Frey hosted one of the stops at their Weston Red Barn Farm in Weston, MO. Their farm is an educational farm with a pumpkin patch and orchard and their signature red barn is a popular venue for wedding receptions. Besides this year’s role as host, the Freys got to be on the learning side of things, as well, networking at the Business Exchange and attending the educational sessions. Educational sessions this year included everything from budgeting and insurance to social media and employee management. Early in the conference, the Freys learned what their farm’s focus for 2014 will be. “We need to be more organized,” Steve said. They plan to focus on organization and attitude this coming year.